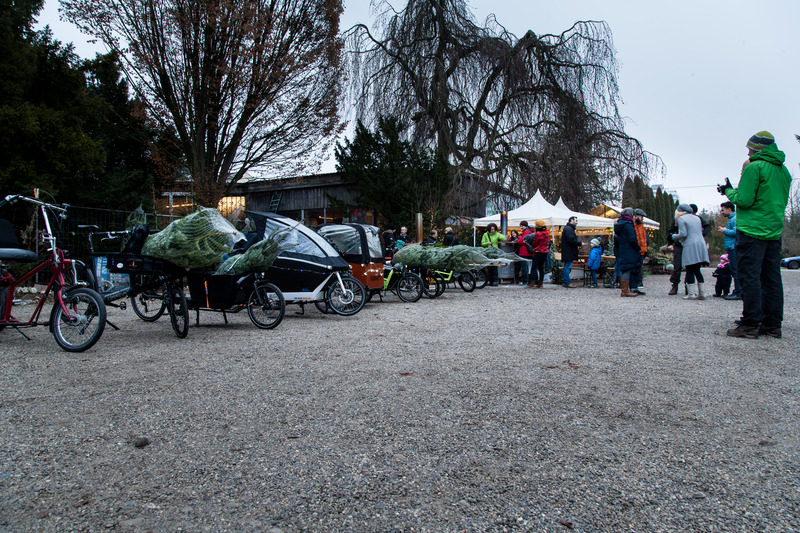 When Christmas comes around I am counting the days until the tree has to be chosen, picked up and brought into the cozy christmas-home. 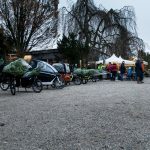 What a beautiful piece of load the christmas tree is: the smell, the friendly appearance and the anticipation of some beautiful family-days make it one of my favorite things to carry around. 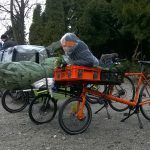 And, as mentioned before, I love riding big cargo. Carrying odd and unconventional things is just fun! 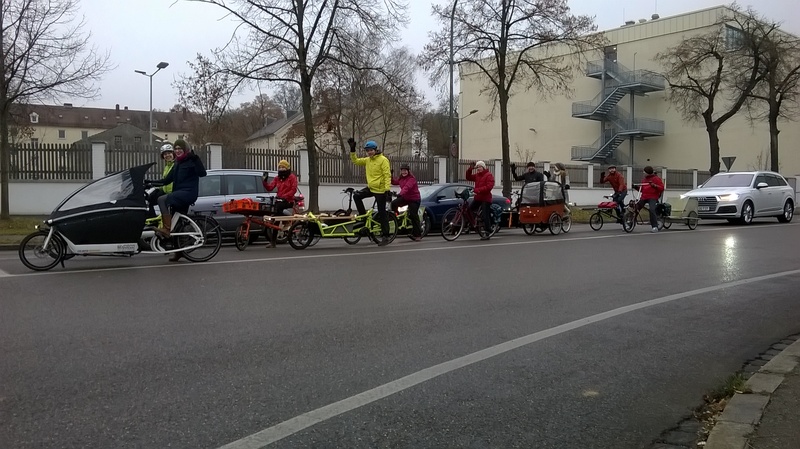 It is even more fun to carry unconventional things on a bike, if you do it with a group of likeminded people! 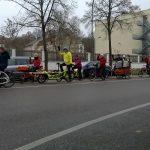 So for the first time in Augsburg, we gathered cargo-cyclists of town to make it a fun event for happy riders: the “Fichte sucht Fahrrad” (engl. 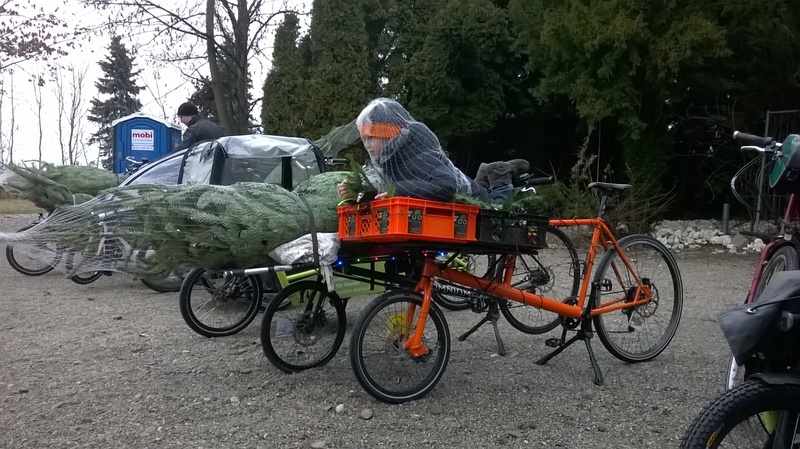 : “spruce wants bicycle”) christmas tree ride! 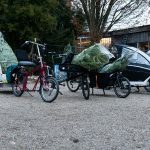 On Dec 18th, the 3rd advent, we rode with 11 bikes (mostly cargobikes and two trailers) to pick up locally grown trees. 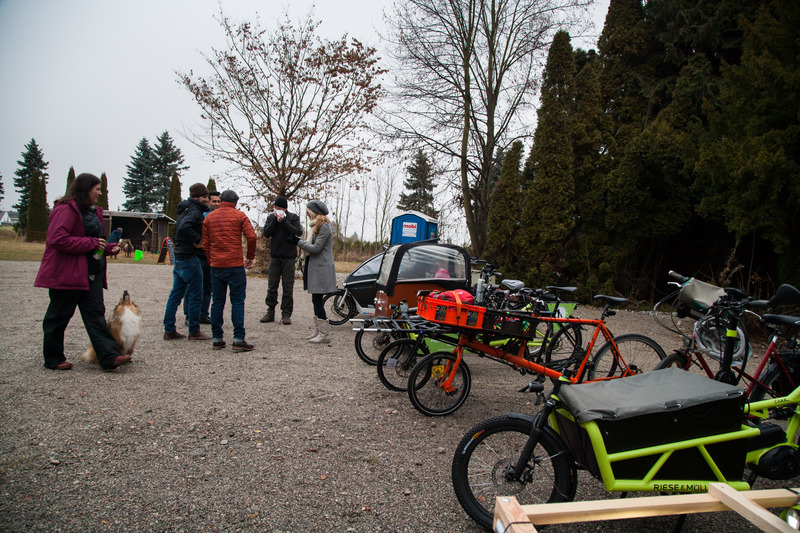 It was a fun ride: the nursery offered an exclusive parking spot and free hot punch. 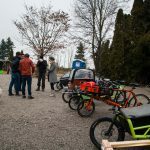 So after the cold ride there was space and time to warm up while having a talk. 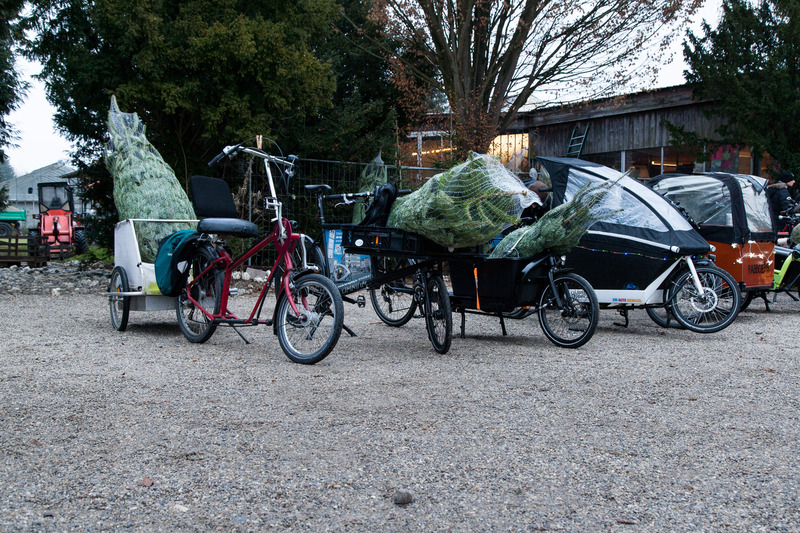 Everybody picked their tree-friends for the holidays in a cozy atmosphere before riding back into town together. 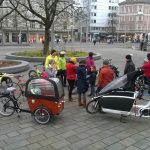 Thanks to all riders taking part: it was beautiful riding and spending time with you! 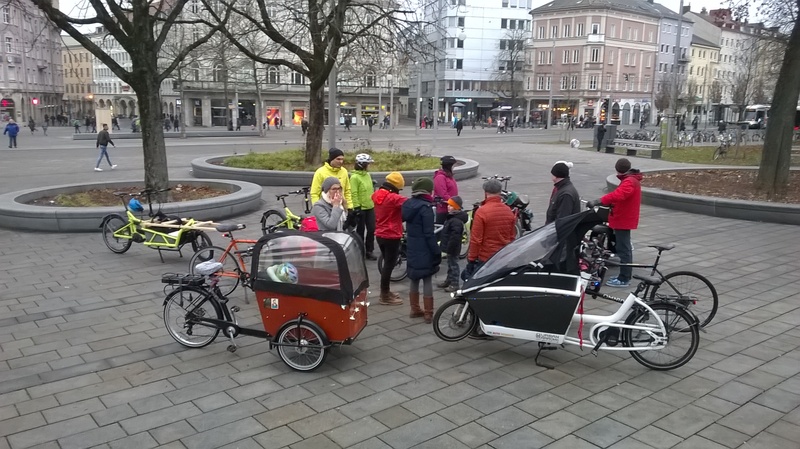 Maybe next year we’ll manage to be at least 3 more people in order to ride in a #CriticalMass.